Should More Top Authors Give Back to Indie Bookstores? 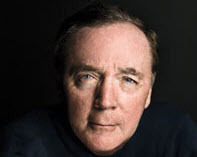 James Patterson is giving some $1 million back to independent bookstores. The New York Times reports that best-selling author James Patterson has started a program to give away $1 million of his own personal fortune to dozens of independent bookstores, “allowing them to invest in improvements, dole out bonuses to employees, and expand literacy outreach programs. Patterson announced on Wednesday that the first batch of checks had been sent out. Fifty-five bookstores across the United States will receive grants totaling $267,000 dollars. Patterson began the project last year by letting store owners know that he was “willing to begin writing them checks,” according to a spokeswoman for Patterson quoted by The Times. Linda Marie Barrett, general manager of Malaprop’s Bookstore/Café in Asheville, NC, received a grant to help replace the store’s badly worn carpeting and a damaged parquet floor. “He seems to be keenly aware that bookstores operate on small budgets,” she told the Times. “We can’t have a business plan that says James Patterson is going to come along and give us something every year, but these are things we wouldn’t be able to do otherwise,” she said. The grants range from $2,000 to $15,000. Publishers Weekly reported that Patterson called himself a “bit of a micromanager,” who personally read each of the grant proposals and proposals and personally approved each one. One of the few qualifications for bookstores interested in applying is that they have a children’s section. If you’re interested in learning more and would like to apply, you can fill out a form on Patterson’s website, here. Like him or hate him, you can’t fault James Patterson for his generosity. Does itmake sense for more blockbuster authors who have leveraged the influence of independent bookstores to make sales give back a little to keep them afloat? With Patterson in the the lead, and Sherman Alexie — founder of the Indies First campaign — can we expect more to follow? Let us know what you think in the comments.